Last night’s Soirée was a celebration of Spring and featured violinist/vocalist Diane Perry as well as the usual impromptu assortment of guest performers (which is a big part of the fun). Rack of lamb and chocolate covered jelly rings gave the evening a decidedly holiday flavor. We’ll reconvene on Friday, April 12th for our next Soirée. Click on first thumbnail to open full view and use keyboard or rollover arrows to navigate. When one thinks of American Art and Cape Ann in northeastern Massachusetts, the initial images that come to mind are those of paintings that capture the rich maritime heritage of the area. Towns with names like Gloucester, Rockport, Annisquam and Ipswich have been painted by many artists over the years, among them a great number of Salmagundians, the current author included. Cape Ann also has a rich printmaking heritage that stretches back to the 1870s, and it is printmaking that is the focus of museum show now on view in that region. In describing how he chose the winning prints, Pascale noted that his approach to these selections was to look for images that were powerful and direct with little extraneous content. Some of the images he chose for awards were simple and traditional in terms of technique, embodying the essential charming characteristics of monotype. Others utilized materials, layering and drawn elements in complex yet visually compelling ways. MGNE is a non-profit organization founded in 1985 whose purpose is to foster understanding and appreciation of monotypes and monoprints. To this end, the guild sponsors exhibitions, workshops, demonstrations and other special programs for it’s members and the public. MGNE is open to artists throughout the United States and there is no jurying requirement for membership. 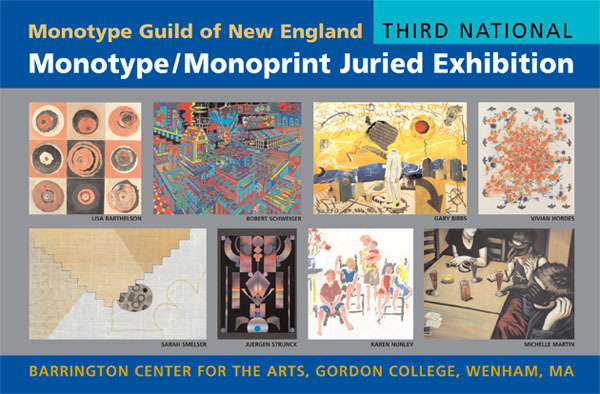 MGNE’s 3rd National Juried Monotype and Monoprint Exhibition is on view through April 6, 2013. Gallery hours are Monday through Saturday 9 AM – 7 PM. Images can be seen online HERE. A 100 page, full color catalog is available for $36.95 (CLICK HERE). Bonnie & Mohammed Yousuf at the Spring 2013 auction. 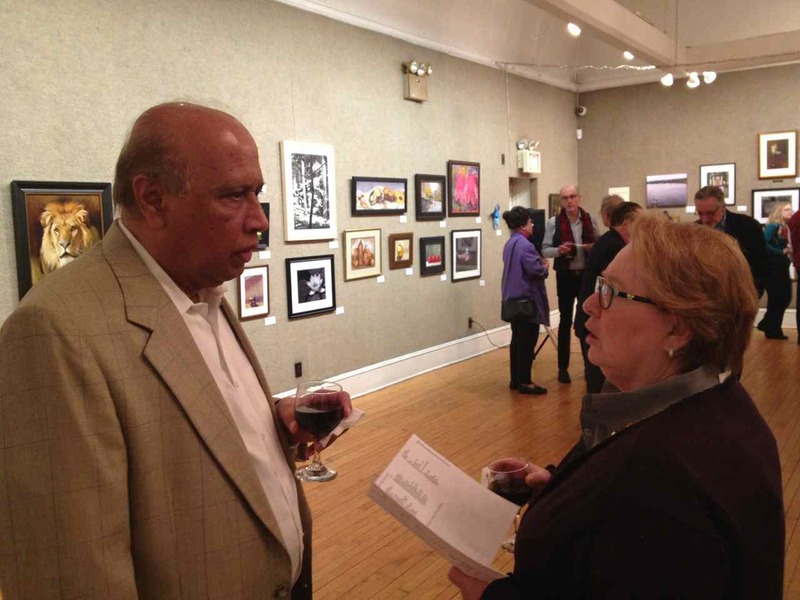 Although Mohammed Yousuf joined Salmagundi just two years ago, he and his wife Bonnie have been an honored presence at the club for upwards of 15 years, as loyal buyers at our auctions and as attendees of countless celebratory events such as our library dinners. Their extensive art collection includes more than a dozen Salmagundians; among them Malcolm MacKenzie, Irv Docktor, John Traynor, Claudia Seymour, Don Holden, Michael Budden, Kevin McEvoy and Charlie Yoder. It wasn’t until Mohammed (fondly called Yousuf by his friends) retired as Comptroller of New York’s Century Association, one of the oldest private clubs devoted to arts and letters in America, that he felt he would have the proper time to devote to a membership at Salmagundi. In 2011 he applied and was welcomed as a Resident Lay. Since last year he has been an integral part of the SCNY Gallery Renovation Committee, whose members include include Tim Newton, Bob Pillsbury, Claudia Seymour, engineers Lou Lalli and Gil Winter as well as project architect, Lisa Easton. During his 37 year tenure at the Century, Yousuf oversaw a staff of almost 100 employees and helped coordinate five capital renovation projects within the landmarked McKim, Mead and White clubhouse on West 43rd Street – totaling upwards of $20 million, and which entailed working with some of the city’s most esteemed architects and engineers. Additionally, Yousuf’s position involved oversight of the Century’s restaurant, which has one of the finest reputations in the country. Having acquired an extremely broad familiarity with chefs, menus and restaurants in the greater New York region, he’s also been sought out to serve as a consultant to other major clubs. 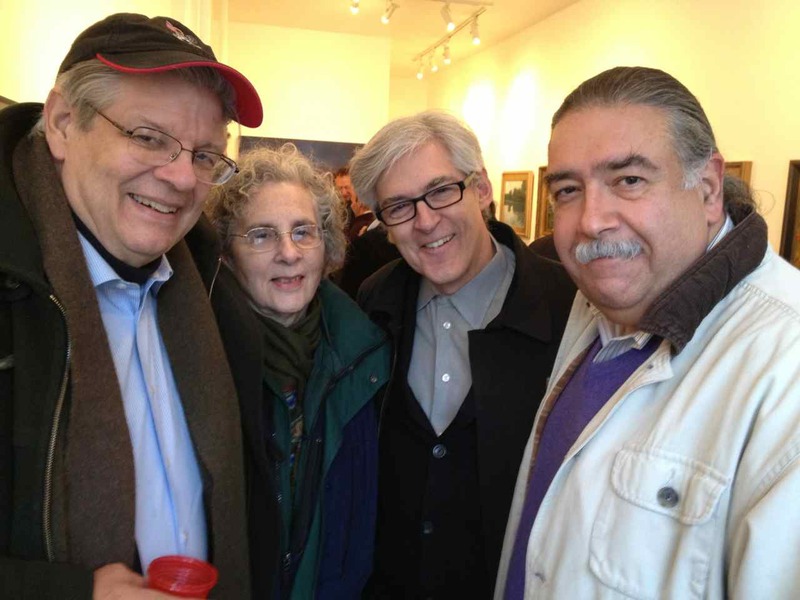 Most recently he was tapped by the 2013 Nominating Committee to serve as the next Chairman of Salmagundi’s House Committee, a position which, if he’s elected, would give him a chance to share his vast managerial expertise with all of us. The Yousufs are long-term residents of Riverdale, and are avid travelers, having visited perhaps 50 countries around the world, including Albany, New York, where their daughter, son-in-law and three grandchildren live. Yousuf and Bonnie at the Spring Auction reception. 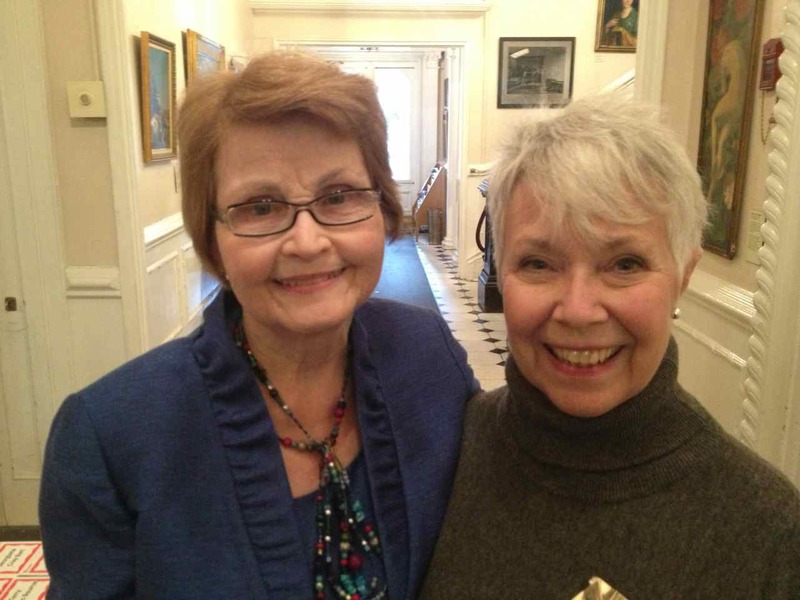 The Catherine Lorillard Wolfe Art Club’s annual members exhibition has been staged in Salmagundi’s main gallery for several years and a number of Salmagundians were honored at this year’s Awards Reception. The loyal troops gathered on the lower east side to support one of their own. 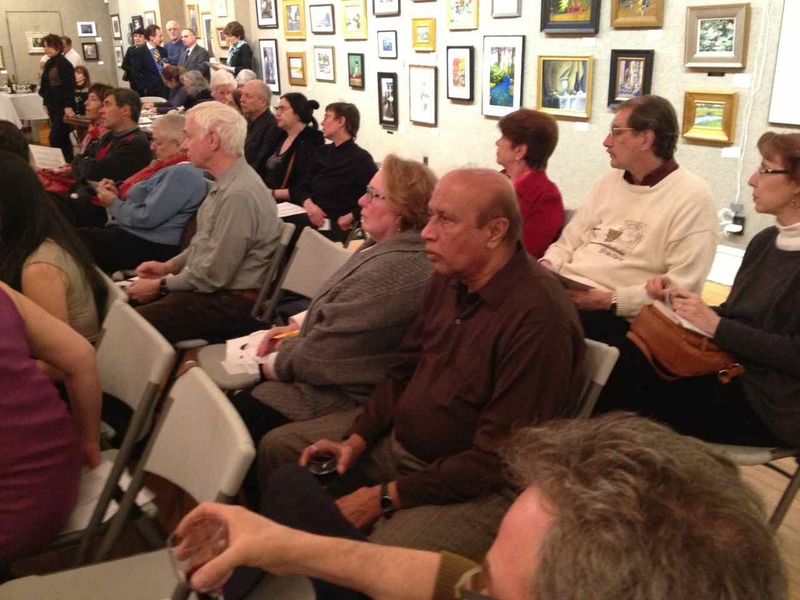 Bob Pillsbury is one of several artists participating in the annual Spring Landscape Exhibition at the Dacia Gallery and during their opening reception there was just about a full quorum of Salmagundians necessary for a general membership meeting. The Dacia Gallery is located at 53 Stanton Street (917) 727-9383 and the exhibition runs through April 12th. 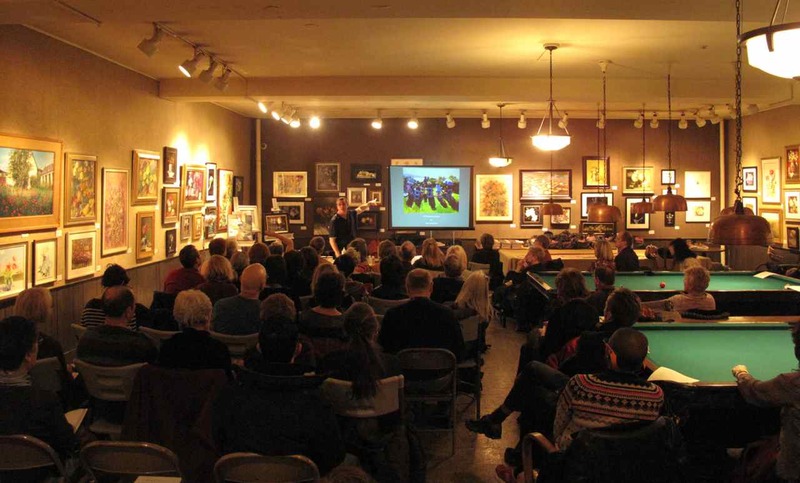 On Saturday, March 16th, COGAP hosted an SRO crowd at a materials demo given by SCNY member and resident artist for Utrecht Art Supplies, Joseph Gyurscsak. Joe’s presentation covered the use of acrylics and how they compare to oils. Lois Cremmins, Business Development Specialist at Utrecht was also on hand and attendees went home with sketchbooks courtesy of Utrecht. Joseph Gyurcsak has studied with Scott Burdick, Susan Lyon, David Leffel, CW Mundy, Dan Gerhartz, Skip Whitcomb, Ken Backhaus, Richard Schmid, Quang Ho, Rose Frantzen and John Howard Sanden. The Coast Guard Art Program Committee’s next event, another materials demo, is scheduled for Saturday, April 20th (2-3:30pm). 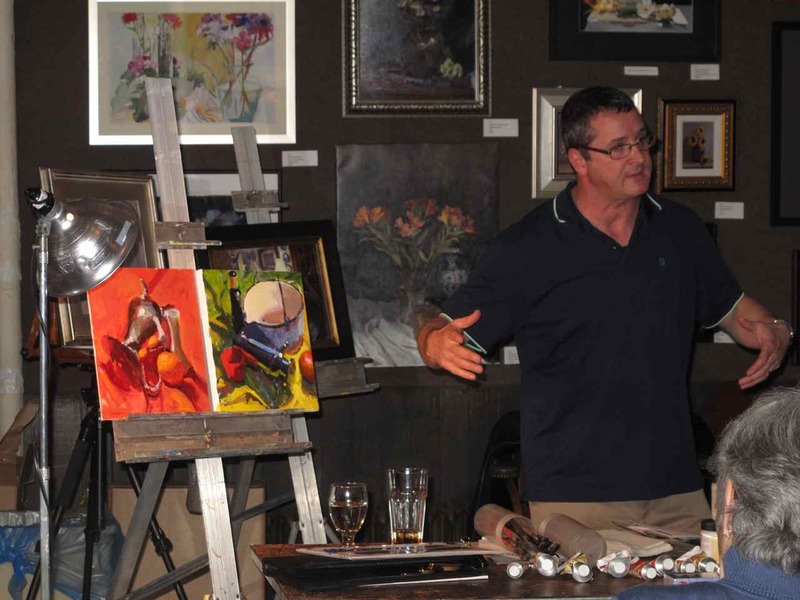 SCNY artist Michael Budden will focus on oils. Click first thumbnail to open full view and use keyboard or rollover arrows to navigate. 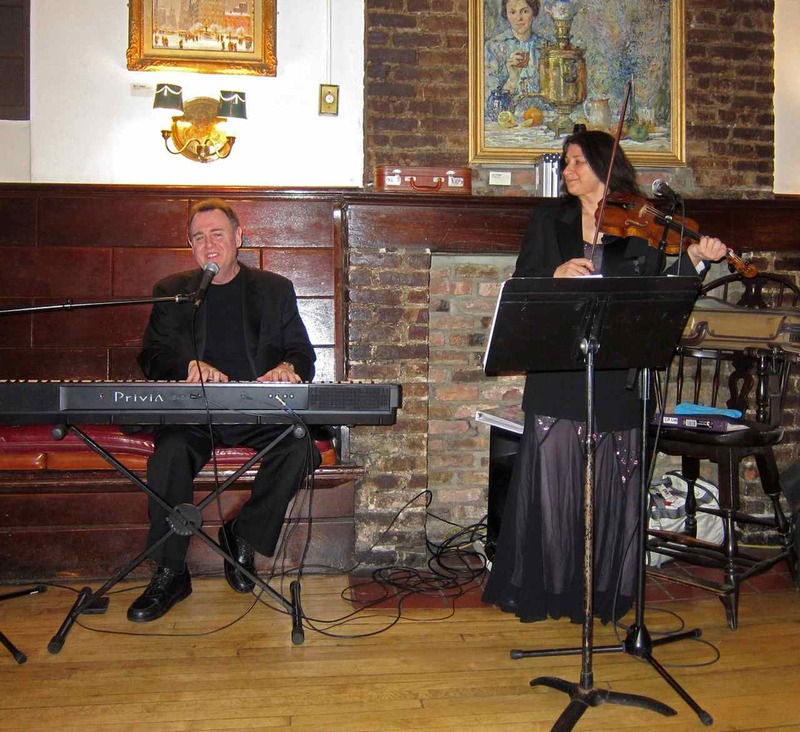 A grand old time was had by all at the third Soirée of the season this past Friday, March 15th. 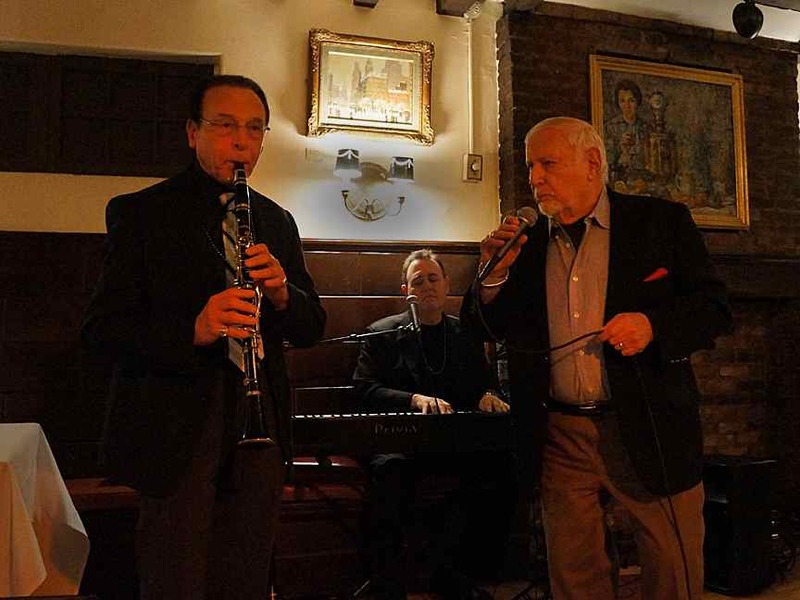 There could be no better way to celebrate St. Patrick’s Day (early) and the Great American Popular Songbook!